As VINO regulars well know by now, we are HUGE fans of winemaker Fred Scherrer & his wines. Fred epitomizes the concept of artisan, handcrafted & boutique, as he is essentially a one man show. Interestingly, we have found over the years, it is hard to find a winemaker/winery who excels at 1 grape variety…..much less Fred excelling at 5 or 6! Yes, his are wines to search out for…..AND they do get better with age…..even his Zinfandels. I find it so remarkable that Fred & his truly superb wines are relatively under the radar screen by most of the wine media. For me these are some of the VERY best wines out of California today……which a tasting of 4 older of his wines recently in VINO, resounding reminded me. We have been waiting a LONG time for this wine to open up & show its real personality. We thankfully got a brief glimpse on this night. Although still tight, we marveled at the amazing youth it still has from beginning to end. Preceeding this wine in the line-up was the 2006 Greenock Cabernet Sauvignon; 2006 Revolver Wine Co. “The Fury” & the 2006 Leeuwin Estate Chardonnay “Art Series”. ALL 3 were very highly rated wines….BUT on this night got completely dwarfed by this Scherrer Chardonnay. I make it a point to try not to compare wine to wine….but in this case the difference was just so huge. It was NOT even close. I believe there was somewhere between 100 to 125 cases produced, but it is well worth seeking out. I can’t wait to see where it goes in the next 10 years. I was SO blown away by these 3 Scherrer wines I immediately sent an email to Fred that night…..AND called him the next morning. In that conversation, I noted that THIS 2001 Chardonnay is the most intense, concentrated wine I remember having from him! Fort Ross is a single vineyard out on the Sonoma Coast which Fred worked with for a few years. He only made 1 barrel (22 to 25 cases) of this particular bottling. 12 years old & still a baby!!!! !……..brilliant…..with superb seamlessness, balance, class AND without any sense of gaudiness, pretention or over done-ness. A SENSATIONAL wine. The nose was glorious! I have never had a Zinfandel that smelled so glorious, compelling & captivating like this before. Just plain gorgeous! On the palate the wine was still so remarkably youthful & vibrant, yet so balanced, delicious & suave. The Shale Terrace botttling, I believe is VERY different in character to his “Old & Mature” bottling, eventhough they both come from the same, “Scherrer Vineyard” in Alexander Valley. Now….THIS wine will also show you why I chased getting Fred’s wine to Hawaii for so many years. It becamse very obvious, this “Shale Terrace” bottling says something VERY different from his “Old & Mature Vines” bottling we typically see, when tasting this 2001 last night, March 28, 2013. I was completely mesmerized & spellbound. That doesn’t happen too often…..especially with Zinfandel. I kept trying to identify what I was smelling….when a fellow taster, noted peach & peach skins…..and that is truly what it was. From the cornucopia of different fruit & exotic spice, what jumped out was peach/nectarine/apricot! The wine was luscious,compelling, exotic, round, incredibly well textured still with a VERY vibrant, youthful & vigorous core. OMG…..at 12 years old!!!!! True, the alcohol poked out some (14.5), probably because it was tasted amongst a star studded line-up of Old World wines. I have to say, however, it stood out in the crowd. Superb wine!!!! & one I will always remember…..it was that good! Over the years, we have found that Fred Scherrer is, without a doubt, one of those VERY special winemakers who makes wines that truly stand out because of purity, elegance, delicious-ness & balance. I am always so perplexed why wine lovers aren’t pounding down the doors to get these wines. I think it is probably because Fred & his wines do not get HIGH scores & accolades. Yet, when one asks wine professionals in the know, his names pops up frequently…..kind of like an insider’s scoop. Another confusing hitch might be caused by the myriad of various bottling & small lots Fred makes in any given vintage, which changes year to year depending on what the vintage brings. In an effort to better understand what to buy & why, here is the bottom line from my experience with the Scherrer wines……. 1) APPELLATION WINES. With Pinot Noir (& sometimes with Syrah & Cabernet) Fred bottles appellation wines…ie Russian River, Sonoma Coast, Sonoma Valley (Alexander Valley with Cab and Russian River with his Syrah). He feels these wines speak of their appellation. These wines typically are more accessible & delicious right out of gates. This by no means reflects on their age-ability. 2) SINGLE VINEYARD. Usually Fred’s single vineyard wines, although pure, elegant & balanced, need some bottle age to really show their peacock tail (which believe me……they will at some point!!) From first hand experience, I can tell you older Scherrer wines are some of the VERY best I have ever had out of California, as the 3 featured above clearly reminded me. The crazy thing for me is that I would readily buy any of one of his single vineyard wines in place of the BIG, MEGA-media rated names, one for one…..much less the 2 (or 3) to 1 ratio these wines are……because of their very FAIR prices. 3) POETICALLY NAMED. which includes Zinfandoodle, Big Brother & once & awhile “Reserve”. While these names speak to Fred of what the wines want to say, it can be confusing to the general public. My advice is, to do some homework, read his website, ’cause these are wines, like the rest of his portfolio, you will not want to miss out on. There is thankfully so much talk & a move towards In Pursuit of Balance. Fred & his wines have always really been about that AND I believe they clearly showcase that….whether they are Cabernet, Syrah, Zin or Chardonnay or PINK……appellation or single vineyard….young or old. These are absolutely terrific wines, well worth searching our for. Burgundy is a specific, geographically delimited area of France. It starts in the north with & around Chablis….heads south….to the Cote d’Or (further broken down to the Cote de Nuits & Cote de Beaune in the south)…..down to Cote Chalonnaise….the Maconnais….& finally Beaujolais….with some other, smaller ones in between. For the most part, Chardonnay & Pinot Noir are the star grape varieties, which can produce something VERY special in the very finest pockets of the region’s Kimmeridgian limestone soils. The resulting wines are really like no other. Here is recent staff training we did to show our staff how different red Burgundies can be. Here is a Burgundian Pinot Noir, grown in Kimmeridgian limestone soils up north, in the VERY cool growing confines near Chablis. It wasn’t that long ago, good, interesting RED wines from this area were hard to come by. Now, this by NO means, is Grand Cru in character or profile (nor is it intended to be), but is instead an absolutely delicious, remarkably light, pretty, VERY ethereal Pinot, ideal for Hawaii’s warm weather & local Island foods. Regis Bouvier is a small, essentially one man run Domaine. One of his most popular wines is his “En Montre Cul” bottling which comes from steep, more sandy hillsides near the city of Dijon. Because of how fast this city has grown & expanded, once well respected vineyards have sadly been swallowed up in the name of progress & building. Bouvier’s cuvee has a real satin quality to it (as opposed to the precise-ness of limestone driven wines)….sheer, highly refined & amazingly light & pretty. Yes, this is one of our “go to wines” every year for pure enjoyment, gulpability AND great value. Gevrey Chambertin is one of the more northerly villages, as one heads south traveling the Cote d’Or & historically is said to produce very masculine Pinot Noir, which can be readily seen in the really impressive line-up of Grand Crus found within its boundaries. Les Cherbaudes is a Premier Cru (which in my opinion is typically one of Boillot’s finest Premier Cru holdings). It lies next to Chapelle Chambertin & across the road from Mazis Chambertin & Chambertin Clos de Beze…..all Grand Cru. As old timers will say, this village is sitting on some pretty special soil. Boillot is reputed to produce more traditional styled red Burgundy, which takes years of bottle age to open up & show its glory. This 2006 has lots of stuffing & character, but is still young & closed. My recommendation–be patient & wait before opening your cellared bottles of 2006. From Gevrey Chambertin heading south, Nuits St Georges is one of the last villages of the Cote de Nuits before entering into the Cote de Beaune. This is the home of Robert Chevillon, who happens to be one of our favorite Pinot Noir producers in the world! Chevillon wines are always so impeccably balanced, refined & classy, eventhough they have a distinct rustic edge & underlying, sublime masculinity to their wines. While 2006 did not receive rave reviews by the Press, I adore this wine’s purity & precision…AND I think with some bottle age, this will turn into a gloriously perfumed/ethereal, delicately nuanced Pinot which will remind some of us old timers, of the way it was…PRE-Parker! Auxey Duresses is a village located in the Cote de Beaune surrounded on three sides by the villages of St Romaine to the northwest, Monthelie to the northeast & Meursault to the east-south. In the old days, their red wines were often sold off as Pommard or Volnay, which gives you an idea of its perceived quality & lukewarm reputation in the early days. Still, because of its higher elevation & very chalky, limestone soils, eventhough the resulting red wines can be quite lean, hard & much lighter than those from the Cote de Nuits, they do offer real value for the dollar….AND actually GREAT VALUE in the hands of very skilled winemakers like Jean Marc Roulot. One of the world’s most famous figures of wine over the years is Aubert DeVillaine. As Managing Director of Domaine de la Romanee Conti, he has led this iconic, world class winery into the various, new eras & changing global markets without skipping a beat. While most would say he was lucky to inherit 50% of this illustrious Domaine, I say HE defined DRC….not the other way around….AND in the most challenging of times & on a HIGHLY scrutinized stage. From all of this grandeur, it is so wonderful that he & his wife chose to make their home in the Cote Chalonnaise to the south. In this region, the vein of Kimmeridgian limestone seemingly starts to peter out & one sees a myriad of different soils found in various pockets throughout the appellation. He planted this parcel (within the Mercurey appellation) on limestone-clay soils in 1974 using Nuits St Georges vine cuttings. Light in color, here is yet another absolutely pretty, pure, honest, refined, nuanced, delicious Pinot of sheer elegance. We ended the tasting with a CRU Beaujolais, which is in the southern region of Burgundy. Here the soil has changed from limestone to granite….& from Pinot Noir to Gamay Noir (which they have now genetically proven is a mutation of Pinot Noir). We chose the Morgon from the iconic Marcel Lapierre, who has defined what true Beaujolais can be, through his wines. Using the practices of ole’ both viticulturally & in vinification, Lapierre produces wines which are provocative & delicious in their youth yet quite amazingly ageworthy. I have had some old Lapierre Morgon & can vouch first hand how sensational they can be after significant bottle age. For the tasters however, the goal really was to show how VERY different a wine can be when grown in granitic soils (versus limestone)–much more intriguing, masculine & sultry in nature without compromising Burgundy’s innate lightness on the palate & pedigree. I just wish I had an older Lapierre wine I could have shown as well. What a fabulous winetasting we had this past Saturday on the Island of Maui. Here were some of the highlights/new releases. I have been a fan of Au Bon Climat wines for many, many years. Owner/winemaker Jim Clendenen championed the Santa Barbara appellation & helped usher its wines on to the world stage. His wines have always pushed the envelope & stylistically lied somewhere between California & Burgundy….AND in a much more elegant, refined, BALANCED manner. It wasn’t that long ago when the Au Bon Climat wines were considered as “lacking”….. when to me his wines were about purity, refinement & balance. I am so glad that today, the trends are changing & there are more & more winemakers who seek “In Pursuit of Balance”, which is what Clendenen & his wines have always been about! Having said that, these two 2010’s are some of the VERY best Chardonnays I have ever had from this iconic winemaker & winery. The 2010 Los Alamos Vineyard was where Au Bon Climat really started in 1982. Of the 500 acres, this bottling comes from the wind pounded hilltop…. is barrel fermented (75% new oak), & sees 1 year sur lie. It is really a pretty, classy, tasty & delicious, amazingly priced Chardonnay. 2010 “Nuits Blanches” is Au Bon Climat’s flagship Chardonnay….or as they say at their winery, the Grand Cru of their portfolio. The 2010 is a monumental wine….WOW….which is produced from 56% Bien Nacido “K” Block (planted in 1973 on its own roots); & 44% Dijon clones (76 & 96) from Jim’s own Le Bon Climat vineyard across the river. The wine spent 18 months in 100% new Francois Freres barrels. Put this one away in the cellar for at least 14 years (The 2004, for instance is still a baby & needs considerable more time). This DRY, masculine, hearty, rustic Rose comes from the rugged Island of Corsica, off the tip of southern France. This winery, located in the granite soiled high elevation foothills of Monte Grossa, inland from Calvi, where the days are 100 degrees AND the sea winds really cool the nights down into the 50’s/60’s. The cepage is 50% each of two indigenious, RED grape varieties–Nieullucio & Sciaccarellu….direct pressed (no saignee here)….& fermented in stainless steel with NO ML. This kind of full flavored PINK wine is well suited for more hearty, vegetable, braised foods. As I have mentioned to my wine friends over the past 15 or so years, Neyers has been consistantly producing some of the VERY best wines out of California. It started with the SENSATIONAL 1992 Merlot……then the GAME CHANGING 1993 Chardonnay….and now with new age winemaker Tadeo Bouchardt the winery is in FULL swing, churning out standout after standout. Here is their latest adventure….Russian River Pinot Noir….Joseph Swan selection…done with 20% stems & aged in 40% new oak….at least technically. For me, this is absolutely delicious, round, pretty, lovely, graceful, classy Pinot……which one glass of……will never be enough!!! Jason Drew is another one of those new age winemaking phenoms crafting SENSATIONAL wines year in & year out. His wines epitomize loveliness & deliciousness. The 2010 Pinot Noir “Talfryn & Calder” is a blend of 3 Anderson Valley bench vineyards– 48% Balo (clones 777 & 828); 12% Wiley (own rooted Pommard & 777) & 40% Valenti (667), 1400 feet elevation, 6 miles from the ocean. 1/3 wild yeast fermented, 30% whole cluster, 11 months in French oak (15% new). 309 cases produced…of this lovely, lovely Pinot!!! 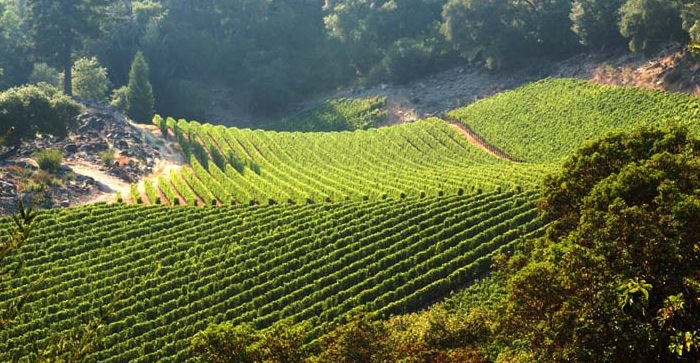 The 2010 Pinot Noir “Weir Vineyard” (a scant 98 case production) comes from a steep southeast sloping vineyard right outside the Anderson Valley proper at 850 feet elevation. I remember this vineyard was originally planted for Burt Williams (the iconic founding winemaker of his namesake Williams & Selyem winery). The 15 acres is planted to 2A, Rochioli & old DRC selections. The 2010 was wild yeast fermented, 30% stem inclusion & spent 11 months in French oak (25% new). While the “Talfryn & Caulder” smells & tastes California, Weir in on the way to Burgundy in terms of earthy, rustic character & firmer structure, while still having deliciousness & balance. This dynamic, winemaking trio & their wines are on fire right now. The best way I can describe this wine is to say this is a Sonoma Coast Syrah crafted by a Pinot specialist. The 2010 is a blend of Peters (877, Chapoutier, 470…& 3% Viognier) & Campbell Ranch (clone 877)….wild yeast fermented, 28 day fermentation..2/3’s whole cluster & then aged in OLD French oak. It has lots of dark character & flavors….& is meaty, earthy, peppery, yet, very elegant, seamless, suave & classy. Kudos, guys!!! !